Helping Children Resolve Conflict - I Am Proud Of My Kids! Because they spend so much time together, friends cooperate and communicate more with each other than with others – which also means they can have more conflicts. For example, children may want to use the green crayon at the same time or disagree about which game to play. Chances are you’ve heard cries of “He won’t give me my crayon”, “They won’t let me play” or “I don’t want to play that” wafting from the backyard. Conflict is a normal part of children’s lives – after all, even adults can’t always agree. But children who know how to manage conflict are happier, have better friendships and learn better at school. Parents and carers sometimes think kids should work out the problem themselves – and sometimes they can. However, kids may have disagreements, or disagreements may escalate, because they don’t have the skills to solve the problem. 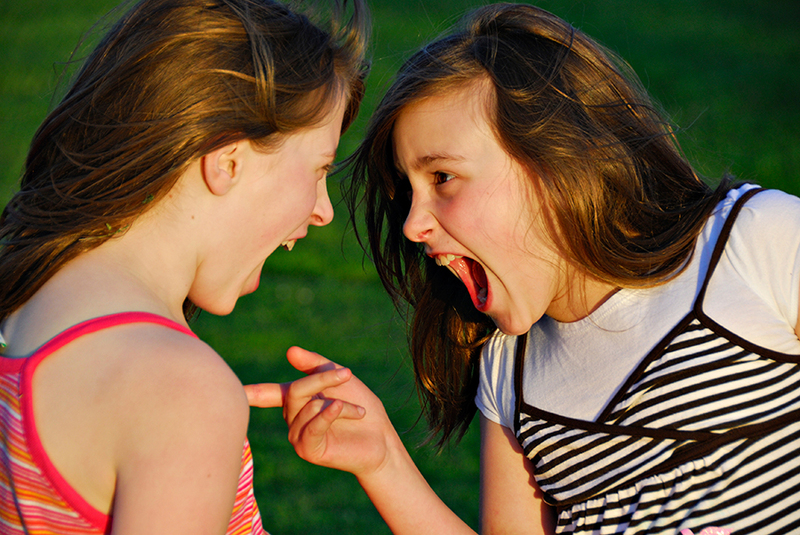 Ever wondered why the loudest child wins the argument? Children often don’t know how to compromise or recognize other children’s needs. It’s easy to jump in and fix the problem, but coaching children on their conflict resolution skills is a more useful strategy with a raft of long-term benefits. Helping children to listen to each other, to see another point of view, and to problem-solve so everyone’s happy promotes equality, fairness and avoids an unhelpful ‘win-lose’ mentality. Set the stage for win-win outcomes – ask for all sides of the story. Have children state their own needs and concerns – ask each child what they want or what are they most concerned about. Help children listen to each other and understand their needs and concerns. Help children think of different ways to solve the problem – what are all of the possible solutions? Younger children may need some adult help with this and may be confused by lots of options, so keep it simple. Build win-win solutions – help children choose a solution that’s fair to everyone from the options they have come up. Put the solution into action and see how it works. You may read more here about helping children to resolve conflict. Be the first to comment on "Helping Children Resolve Conflict"